I’m back with a review on an AMAZING all naturally based and eco-friendly skin care line! Cirus clear is taking a holistic approach to aiding in helping you put your best face forward. CitrusClear are organic and chemical free products that work!!!! The reason their products are so awesome and really treat your skin effectivlly and naturally is because they EXTRACT ingrediants from their natural source! AND they use the most natural form of extraction called COLD PRESS, which in a nut shell means grinding nuts, seeds, fruits or vegetables (depending on the oil being made) into a paste. Then an oil stone or other tool is used to press the paste which forces the oil to separate out. SOOOO you are getting the best ingrediants put directly into a bottle. I’ve been using Gentle Cleanser(Natural Tahitian Lime), Grapefruit Acne Spot Treatment, Tangerine Tingle, and Sensitive Moisturizer for over 2 months now. My favorite products and MUST haves are the Gentle Cleanser(Natural Tahitian Lime), and the Grapefruit Acne Treatment!!!!! 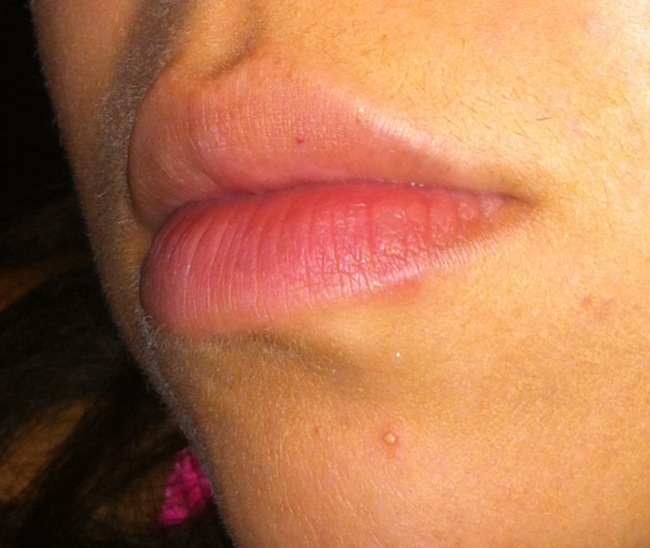 Okay so we all have or have had that nasty white head pimple, the one that you can feel growing as you speak. Well I used the grapefruit acne spot treatment on a pimple I had one night and the very next morning it was pretty much done-zo, obsolete, it was GONE! 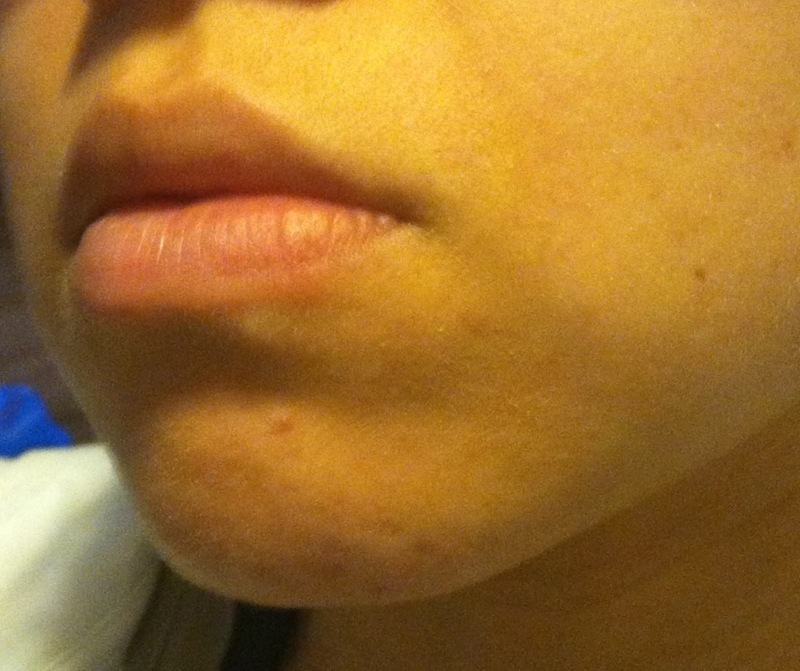 I couldn’t believe that that ugly pimple on my chin was now a thing of the past hehehe! Proof of what this product did for me below! 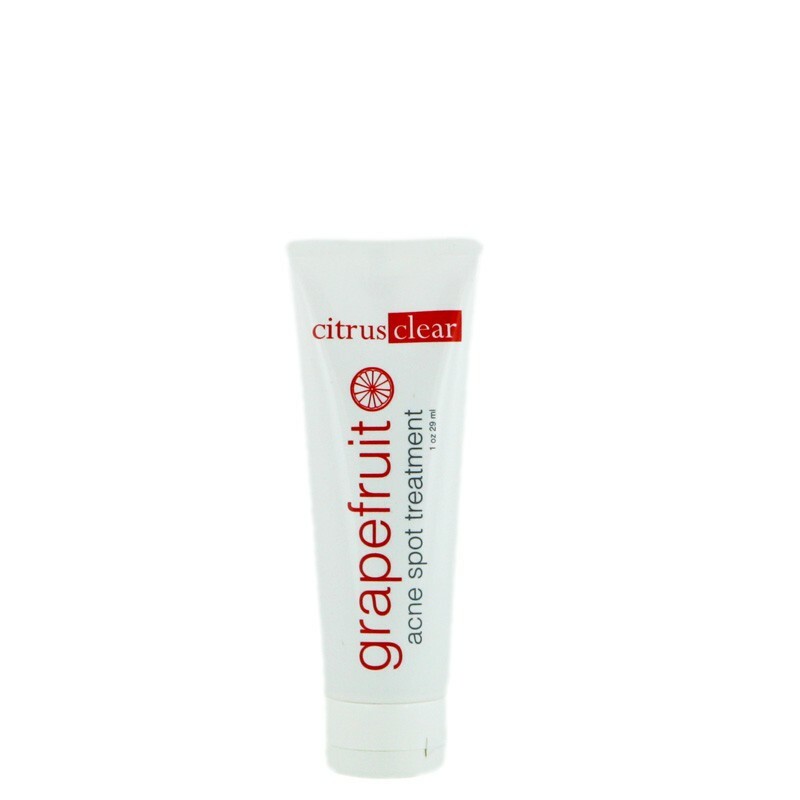 For all those looking, seeking, and or wanting that skin care that’s best for their skin must give Citrus Clear a try! You won’t be disappointed! Hey everyone! It’s been a little while since we last spoke, but I’m here today with something for your reading pleasure; and it has to do with the wonderful world of false lashes. Everyone knows lashes add that certain special compliment to any eye look, and by themselves they are stunning. But we also all know that not all lashes are made the same so it might be a little hard to find the right ones for you. Lashes are made to do very different things such as give you volume, thickness, length, etc… Now, what would happen if you innovated the makeup world and just so happened to stick two completely different lashes together and put them on as if they were one? This is called stacking. That’s right, you literally just stack two different lashes of your choosing on top of one another and use it as though it were one lash. It’s genius, isn’t it? This trend is sweeping the nation and it’s cool because you can customize your own lashes. If you’re looking for volume and length, you got it. If you’re looking for lots of fullness, you got it. There are so many endless possibilities when stacking lashes that you’ll never get bored. And what’s more important is since they are so customizable, you’ll never have to worry about someone wearing the same pair as you (like that girl who wore the same top as you in high school). So my darlings, go out into the wonderful world of lashes and start mixing and matching. Create your own pair and give them a cool name. Because we all like to name things, right? So last night was the Met Gala in NYC. Celebrities filled the red carpet dressed in their best interpretations of punk rock couture. Let’s take a look at some of the makeup looks from the event. The way Minka kept everything subtle but added a bold lip makes this look beautiful, as well as edgy, but still classic. Her barely-there double winged eyeliner also helps give an extra pop to the look in its entirety. 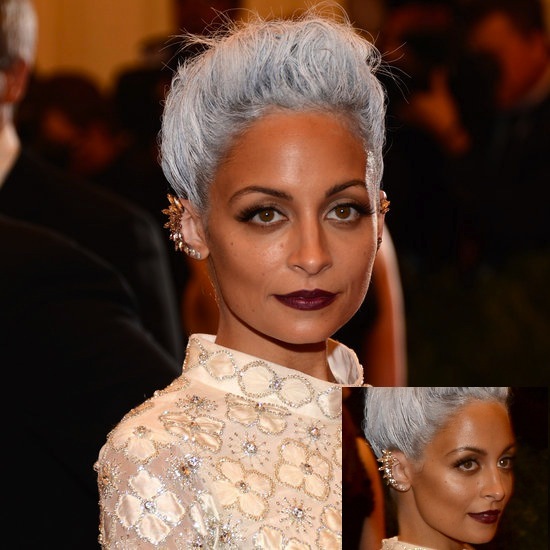 Aside form this amazing hair, Nicole kept her look very strong with very defined facial features and a dark lip. She went easy on the eyes and used soft tones of brown paired with black eyeliner and lashes. Her dewy skin also adds the perfect amount of a healthy glow to this makeup look. As we can see, dewy skin is all the rage this season and Jennifer Lopez does it flawlessly. She looks as though she is glowing from within. In true punk fashion, she chose to stick with a traditional dark eye and muted features. The heavy eye makeup really helps pull the entire outfit together by resembling the dark patterns on her dress. She looked phenomenal! America’s sweetheart got in touch with her rebellious side last night as she walked the red carpet. Much like Jennifer Lopez, she kept her eyes the focal point of her look with everything else very low-key. She looked great last night and it was nice seeing her in something out of the norm. Coco Rocha sported a beautifully executed smokey eye. Beautiful warm tones of golds and browns were used to tie in her look as a whole. The dark liner really helps give her eye color that extra wow factor. The decision to use a pink cheek also helped warm up her face and give more definition. Tell us down below some of your favorite, or least favorite, makeup looks from the Met Gala! Hope you have all been having a great week since my last post! I wanted to catch you all up on some of the things I’ve been up to recently. A few weeks ago I did makeup for the beautiful Jill Nicolini. If you are not familiar with her, she is a news anchor for Fox 5 news. I was able to have the amazing opportunity to do her makeup for the Emmy’s on April 14th. The Emmy’s are an annual awards ceremony that recognizes outstanding achievements in the television industry. On a totally different note, I like to think of myself as an eyebrow guru. 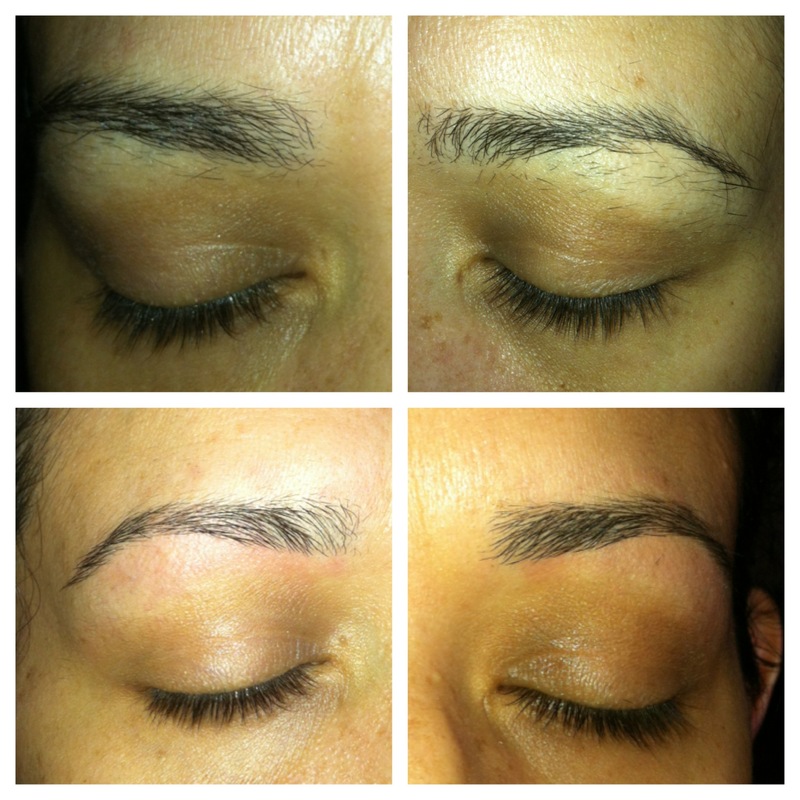 Eyebrows are one of the most, if not THE most, important features of the face. They help frame your face and really pull a makeup look together. So, with that being said ladies, make sure you keep those eyebrows on point! Not only do I have clients who want makeup, but I also have a slew of separate clients that will come to me specifically for eyebrows. Check out some of my work below! *And remember: your brows are supposed to be sisters, not twins! So if you’re struggling to get them to look identical, don’t sweat it! You can always fill them in when applying makeup and make them look as even as possible. Covergirl, Revlon, Maybelline, L’Oreal, Milani, Physicians Formula, the list goes on and on. Walking into a drugstore looking for affordable mascara can be a bit overwhelming. Fear not, Orglamic beauty is here to help you pave the way through all of the mascara madness. 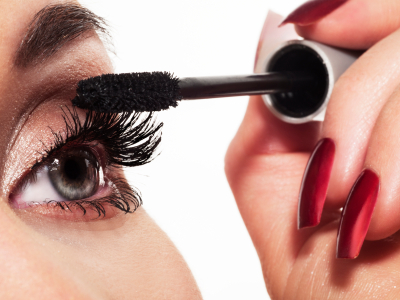 Finding the right mascara can feel like such a tedious process. So much trial and error goes into the search for that perfect formula. You may find the right wand but hate the mascara, and vice versa. But have you ever stopped to think that maybe when you find that perfect mascara wand that does exactly what you want it to do, you should hold onto it? That’s right ladies, the perfect mascara isn’t so much finding the right formula, as it is finding the right wand. There are so many different types of wands out there that do different things, everything from thickening to lengthening. You name it, they’ve got it. So this is why it’s crucial to hold onto that old mascara wand you love oh so dearly, because it could save you a lot of trouble when you want to venture off into another mascara’s madness. Once you’ve found your wand of choice, just clean that puppy off and you’re good to go! You’re gonna wanna disinfect and sanitize the wand itself so when cleaning be sure to use alcohol and let them down to dry over a towel. Once you’ve gotten a new mascara to use, you can recycle that old wand that you hold a special place in your heart for and try it out with a new formula. It’s guaranteed to give your lashes better results. So try this out next time you’re driving yourself nuts trying to find a good mascara and let us know how it worked for you!